A few years ago my lovely husband was diagnosed with Asperger Syndrome – a form of autism. In this honest and open blog post, he discusses the pros and cons of being diagnosed later in life. 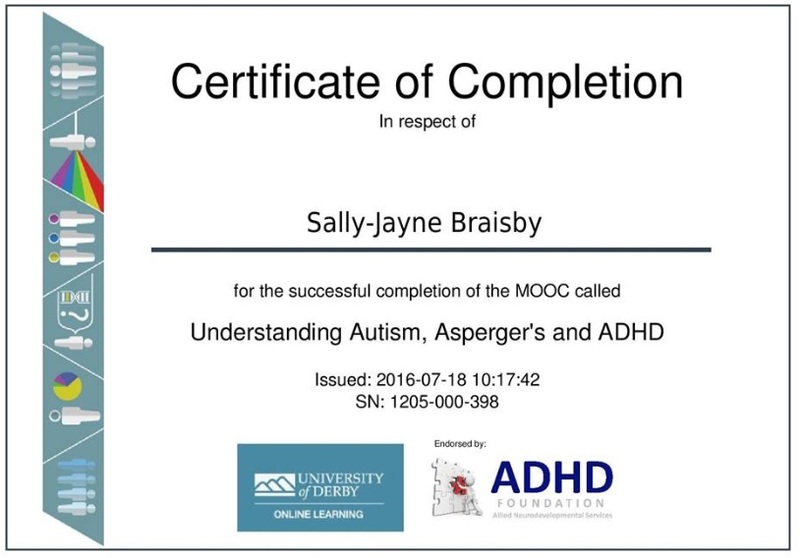 A little while ago I signed up to a course called Understanding Autism, Aspergers’ and ADHD. The course was interesting, both because I learnt things I didn’t already know, and because it made me challenge my own beliefs. One of the short written questions obliged us to explain whether we thought that autism and ADHD both belong on the same spectrum. It took a lot of thinking about, but this is the answer I came up with. On reflection, I’m not so sure. It is often said that everybody fits onto the autistic spectrum to some extent and as some of these characteristics (eg the need for familiarity, and an aversion to change) would probably have been desirable qualities for keeping safe in the earliest civilizations, it makes sense that both autistic and supposedly neuro-typical people would share them. I would have said it was not the same case for ADHD, but the anecdote in this course about the child in school who stopped listening to the teacher and went to look out the window when he heard a car has really made me think. How many of us have felt compelled, on hearing rain, to leave whatever we should be doing to stare out of the window, even though we know what rain looks like. Again, this ability to shift attention from the current task to investigate something that may be dangerous, would have been desirable for early man’s survival, so it makes sense for all of us to share it. After consideration, I think that ADHD, autism and Aspergers do all fall on the same spectrum. I think that we all share combinations of the characteristics of autism and ADHD, it’s just that those of us who are seen as NT possess combinations that do not impact negatively on our lives. 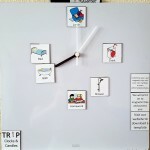 I don’t usually write blog posts recommending products, but I’m making an exception for this educational clock: not because it’s my brother and sister-in-law who make it, but because it’s so versatile I really believe it’s useful to teachers and carers. 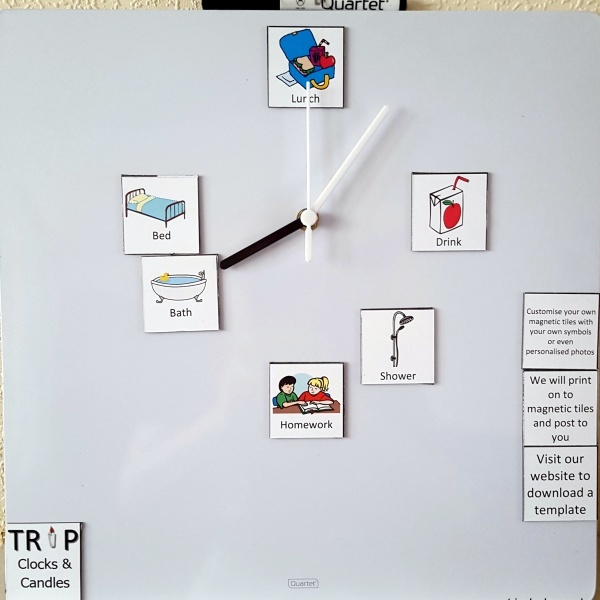 Richard and Theresa are children’s nurses and they have a lot of experience working with children with special needs, and this was originally designed as a SEN clock, but I think it could also be used by EFL and MFL teachers. It has a tickless mechanism, making it suitable for anyone who is susceptible to auditory overload, including those on the autistic spectrum. 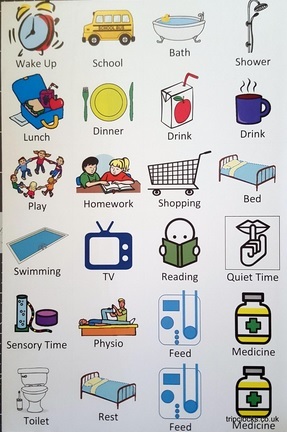 The background is clutter-free, and because they’re customisable you can choose how much or how little information goes on there, depending on what the child can cope with. They recommend having the hour hand only as that is the most distraction-free, but if you really want the minute and second hands as well, you have the option to have them in a different colour to the hour hand so that they blend into background. The magnetic pictures make a great visual timetable for anyone who needs structure to the day. I think they work better than a traditional visual timetable, which usually consists of pictures blu-tacked along the bottom of the white board, because the clock shows at a glance whether it is a long or short time to the next event – especially useful for people with a poor concept of time. You can choose between pictures only, or pictures and numbers, depending on the individual it’s for. The write-on wipe-off surface makes it ideal for teachers, TAs and carers to write additional notes on there, such as required doses of medicines. The versatility of this clock would also make it ideal for the EYFS setting. The fact that the pictures have words written under them made me realise that this clock would also be really useful to EAL children. It’s bewildering to be somewhere where you don’t understand the language, and this clock could help introduce structure and reduce anxiety levels for children who have only recently arrived in the country. The pictures would indicate what lesson was next and the words would reinforce the English word for that subject. Because the pictures are magnetic, it’s easy to swap them around for days when lessons happen in a different order. Thinking about the benefits to EAL children led me to thinking about MFL teachers – most things do because I am one! Because the clocks are custom-made, there is no reason why you can’t have one made with the subject labels in whatever language your class is learning. Most primary school learn one language all the way through KS2, but if your school alternates there is no need to buy a whole new clock when you change languages – you can just order a new set of magnetic pictures. These clocks are also ideal for children who are learning to tell the time in any language. The pictures can easily be replaced with magnetic words (y cinco, zehn nach, et quart, twenty past) or numbers. You could easily put just the o’clocks first and then add the half and quarter hours and the five minutes as you learn them. If you have an idea in your head of what a fully customised clock like this is going to cost, I think you’ll be pleasantly surprised. For more info visit Trip Clocks.